Expanding location and services into Omaha! Dr. Diane Marti, Ph.D. is now offering clinical services out of Omaha – WBP-Omaha. The office is located in the Autism Center of Nebraska (9012 Q Street). Dr. Marti is providing autism evaluations for children, adolescents and is uniquely qualified to evaluate adults. She will be available for individual therapy as well, but these services will be limited. She will be collaborating with Dr. Natalie Swift – given her expertise with individuals on the spectrum. Appointments can be made by calling (402) 489-2218 or click on the “Contact” tab found on this web site. Dr. Natalie Swift, Psy.D.,LMHP is currently accepting clients in Omaha located at the Autism Center of Nebraska as well. 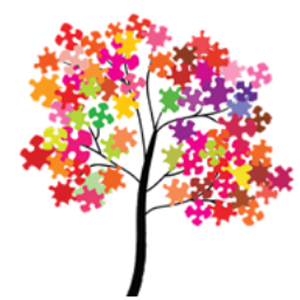 She will be seeing clients for therapy and will work with families and individuals affected by autism. Dr. Swift will also provide therapy and effective treatment planning for clients with intellectual disabilities and co-occurring mental health conditions. She is currently scheduling clients for Tuesdays and Thursdays of each week and will increase Omaha clinical time as needed. All scheduling and communication will be conducted through the main Lincoln (WBP) office location at (402) 489-2218. Both Drs. Marti and Swift are excited to spend time in the Omaha area – focused on improving outcomes and quality of living for individuals living on the spectrum!